Remember when Slankets and Snuggies were a thing? My youngest brother still has one, and wears it quite often. I don’t know that I know anyone else who has one, though, which is sad because they were a brilliant idea (a backwards robe, but hey, they marketed it so well people bought them in droves) and they were more practical than a blanket, especially if you were sick at home watching Netflix on the computer, or if you were settling in for the night with a glass of wine on the couch. That being said, there’s nothing stopping you from making your own version of the Slanket or Snuggie, and recently people have been creating an alternate to those two options with the hooded blanket. This is even cozier (though less practical), and often they’re made for children, but…I want one for myself. Just think how nice and comfy it would be to get in bed, slip the hood on, and snuggle in for the night. Wrap yourself up in this big blanket and fall asleep imagining you’re being embraced by a soft, fuzzy giant creature. Or, take it on a road trip or to a game and keep yourself warm while everyone wishes they had a hoodie blanket like yours. 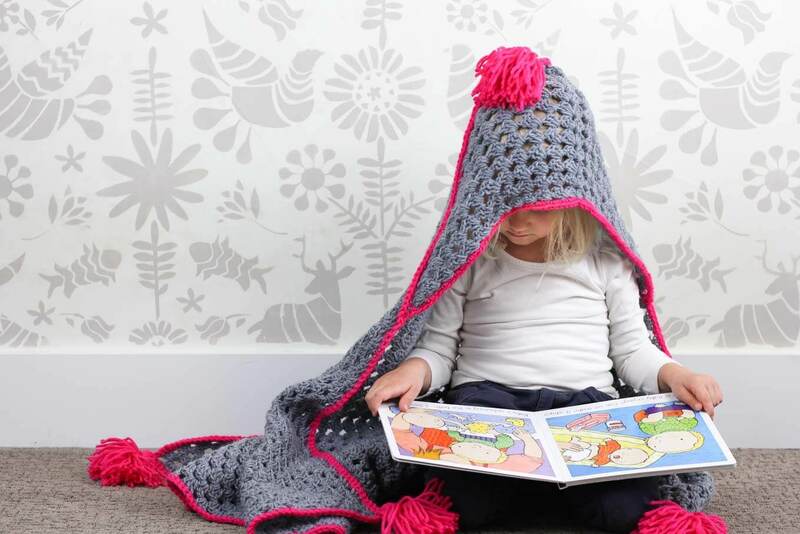 Of course, the hooded blanket is best for smaller children who may need to be wrapped up and carried, but I won’t stop you if you make a bigger one for yourself. The free crochet pattern for the hooded blanket that I found was through the Make & Do Crew, who have a pattern available for newborns and 6 months old. It would make a great gift for a new parent or grandparent, especially if you chose colors that matched the nursery, or their favorite sports team, or a soft neutral. 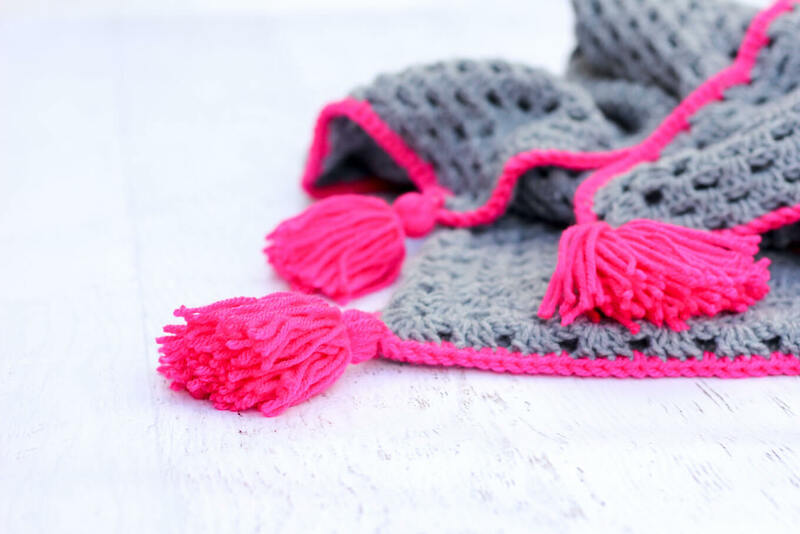 The Make & Do Crew’s pattern calls for two balls of yarn (approximately 980 yards), a size “J” crochet hook, stitch markers, a tapestry needle, scissors, and, if you want to make tassels or pom-poms, you’ll need some cardboard. The yarn suggested is Lion Brand’s Pound of Love and Vanna’s Choice, but of course you can mix and match as long as the yarn weight is the same. 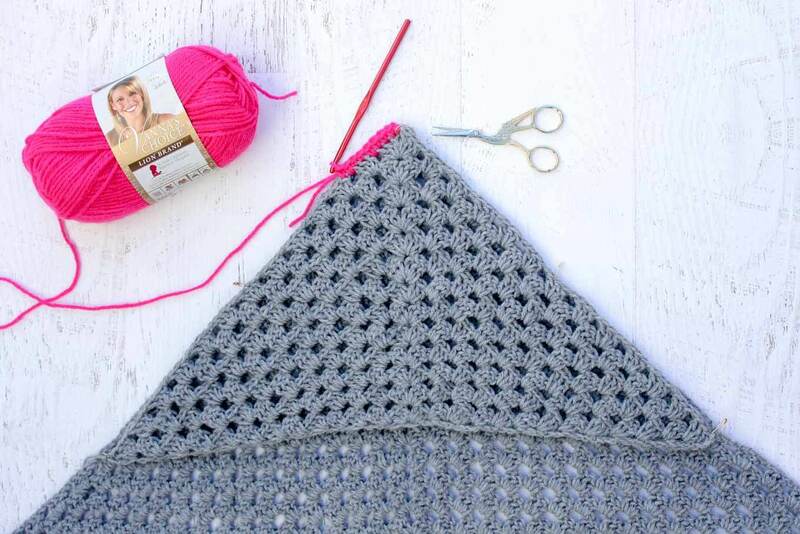 If you’re the sort of person who likes to ensure they have the correct gauge before beginning, you can crochet 3 granny clusters and 3 spaces, which should equal 4 inches horizontally, and 4 granny rows and 3 spaces, which should equal 4 inches vertically. I recommend checking the gauge prior to jumping into the project because the hood will have to be sized just right to ensure that it isn’t too big or too small. There are no fancy stitches in this pattern — all crocheters should know the following: single crochet (sc), slip stitch (sl st), skip (sk), double crochet (dc), and chain (ch). Even when I was a baby beginner crocheter, I know how to do all of these. If you aren’t familiar with some of these, search YouTube for the specific stitch and there will be plenty of videos to walk you through it. 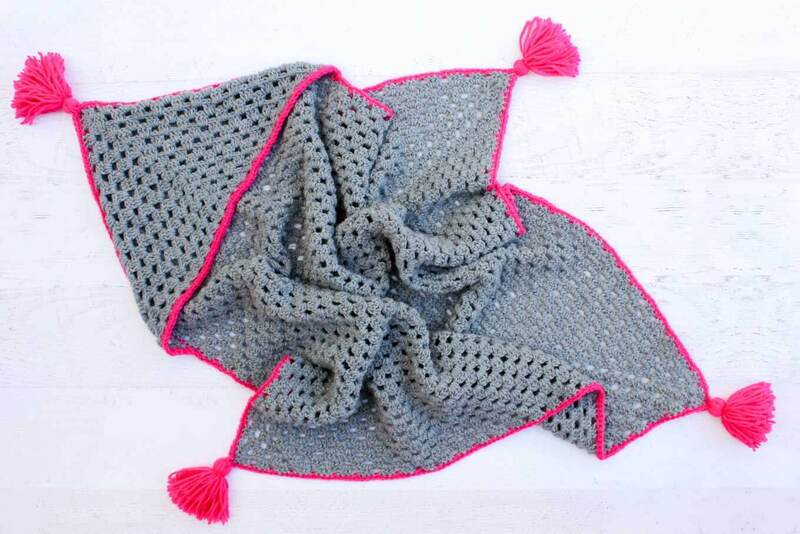 Once you’ve finished this pattern from The Make & Do Crew, you can post photos of it on Instagram and tag them @TheMakeAndDoCrew or use the hashtags #MakeAndDoCrew and #yarnheroes.